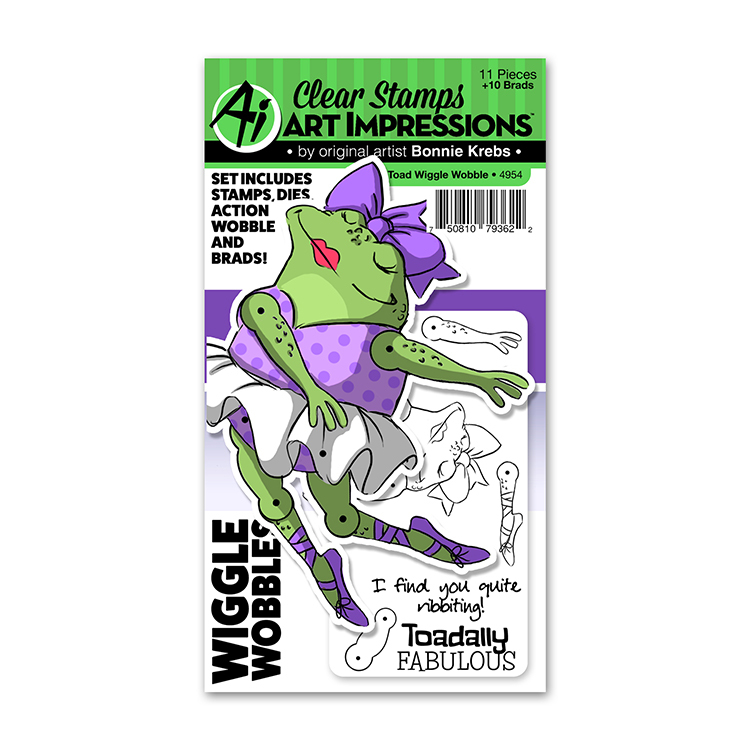 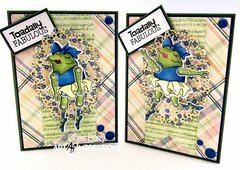 You'll be leaping for joy when you get to create awesome interactive cards using the Toad Stamp and Die Set from the Wiggles Wobbles Collection designed by Bonnie Krebs. 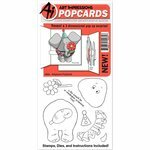 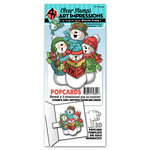 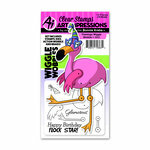 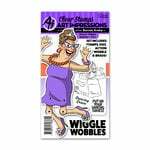 Included in the package are 11 pieces that includes stamps, dies and action wobble. 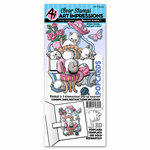 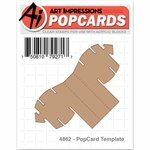 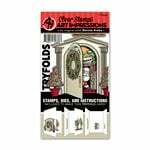 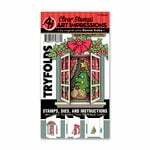 This set by Art Impressions also includes 10 brads.